An old proverb says: music is the language of passion! That’s why we put not only experience and expertise into the development of our record players, but a dose of passion as well. This is reflected in the premium sound quality of our luxury turntables: it meets the absolute highest demands, yet it is distinguished by its unique simplicity. Acoustic Solid’s exclusive vinyl turntables produce a magnificent audio performance. Furthermore we provide our customers with pick-up cartridges, tonearms, belt drives, phono amplifiers and of course the necessary turntable accessories for a perfectedlistening experience. Is your vinyl record collection the centrepiece of your living room? Then you should treat yourself to the appropriate technology and acoustics to enjoy it! With a refined hi-fi turntable from Acoustic Solid, you will get absolute top quality and crystal clear acoustics for your home. With our optimum technology we set standards in bearing technology, as well as with our Solid Machine Small, with its highquality cartridges, tonearms and phono amplifiers. By the way, all Acoustic Solid turntables are produced by hand during the manufacturing process. What would the most modern technology and the most brilliant sound performance be without an appropriately elegant design? The eye is known to “listen” as well! Would you like a luxury turntable that is sleek and simple? Then we recommend our Aluminium Line. If you prefer a more classic, sophisticated turntable, you will find it in our Classic Line. Or should your design turntable distinguish itself as more progressive and unusual? Are you missing a turntable accessory or the right tonearm for the ultimate acoustic experience? Have a look at Acoustic Solid’s exclusive offering of record player tonearms and accessories. You are certain to find what you are looking for! Crystal clear trebles, precise basses, impressive performance. Enjoy your vinyl records in a completely new kind of sound. 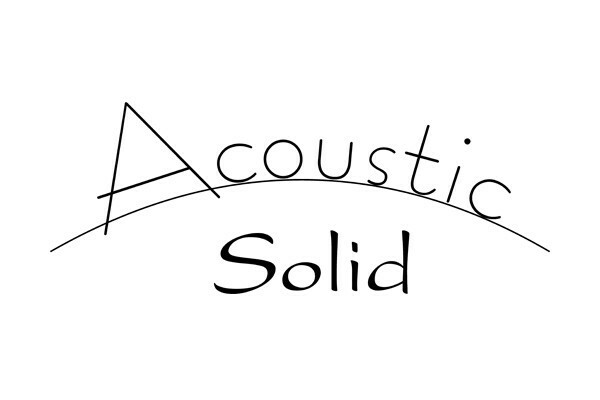 Acoustic Solid was founded in 1997. Under this label, record players, luxury record players and tonearms in the high-end turntable segment are developed by hand in a real manufacturing plant, then manufactured and marketed worldwide. At the time it was called E. Wirth Partnership, after one of the founders who began mechanical production of his turntables in his basement and the adjoining double garage of his parent’s home. The final turntable assembly was carried out in the hobby room of the founders Karl and E. Wirth. Just two years later in 1999, the founders began to look for a property suitable for manufacturing high-end record players. They found the right place in the year 2000 in the neighboring town of Altdorf, Germany. In late autumn the construction of a residential and corporate building began, which they moved into in August 2001. At the same time, in 2000, Wirth Acoustic Engineering GmbH was established. While the turntable engineering company was still moving into the building in Altdorf, sales and distribution agents came to visit from Hong Kong. Due to the exceedingly positive response of Wirth turntable equipment owners, the press began paying attention to the company and the first test reviews of its record players followed. This led to the company entering the international turntable market in 2002. In 2006 further expansion was necessary at the factory because the level of orders was so high, as well as the acquisition of larger machinery on the company property. 2006 was also a highpoint for the town of Altdorf, as both the economic minister at the time and H. Pfisterer, the fraction chairman of the FDP in the German state parliament of Baden-Württemberg, came to visit the company. Today our turntables are exported to 35 countries, with Asia and Japan constituting the core markets. Thanks to positive coverage in many national and international publications, and the numerous prizes awarded to our turntables (including Product of the Year in 2007 in Hong Kong) the brand Acoustic Solid has become firmly established. In 2010, the company acquired its first CNC machine. In 2011, after the acquiring of parts of the neighboring property, Acoustic Solid built a further extension to the company building and turntable production was thereby expanded. In the same year an additional CNC machine was purchased. Experience the exclusive combination of highest quality sound, high-tech and design – with an Acoustic Sound turntable. You dream … experience the happiness that music can give you. Enjoy music like an elegant fine wine and let us take you into a world of overwhelming sound. Experience your LPs like never before – thanks for the impressive performance of our turntables featuring cutting-edge technology! The acoustic pattern from Acoustic Sound turntables unfolds brilliantly, authentically and crystal clear. Acoustic Solid produces unique, world-class products at the highest level of excellence. Take our Machine Small turntable, for example. Its shape and design – both visually and acoustically – has set an absolute standard for turntable drives. With optimum technology from cast bearing coating and Teflon, ceramic and ruby, we have also set new standards in turntable bearing technology. From the beginning, Acoustic Solid has been a pure, genuine manufacturing operation. From the start, our focus has consistently been on in-house production and we have purposefully continued to expand – in terms of machinery and our facility. To the present day, all individual turntable devices are still developed and assembled by us. Our independence from suppliers guarantees exemplary quality at the highest level of excellence. In short: Acoustic Solid turntables are handmade in Germany! Music is like family: harmony comes first. And music is life! “Everything starts with desire, there is always space in the heart for more, for better, for greater,” wrote the late German writer and Nobel literature prize winner Nelly Sachs. The hi-fi sound experience of high-end turntables also exists at such a level, like all of the arts: the never-ending desire for better and greater is always only temporarily satisfied.